I am Professor of TESOL in the School of Education. My professional background is in Adult ESOL and Literacy. Before I came to Leeds, I spent ten years in Sydney at the University of Technology, Sydney where I was Director of the Centre for Language and Literacy and before that I worked in London in Adult and Higher Education. My academic background is in sociolinguistics, but I have always been involved in and committed to Applied Linguistics. Alice Deignan is Senior Lecturer in TESOL at the University of Leeds. She is the author of Cobuild Guides to English 7: Metaphor (HarperCollins, 1995) and a contributor to numerous recent edited volumes on metaphor. Goodith White is a Lecturer in TESOL at the University of Leeds. She is the author of Listening (Oxford University Press, 1997) which was the winner of the Frank Bell prize in 1999. 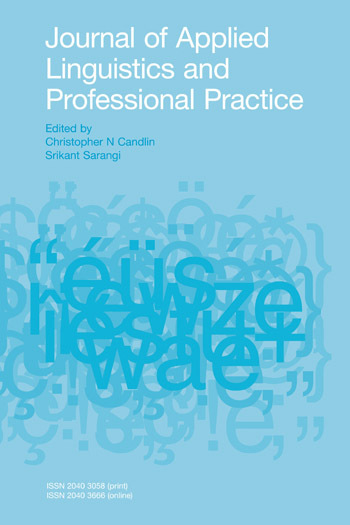 This chapter introduces the theme of the book and focuses on the interaction between applied linguistics and the concerns of professional communities of practice. It also introduces the main emphasis of the remaining chapters. Argument and conflict in academic discourse and in particular Applied Linguistics. 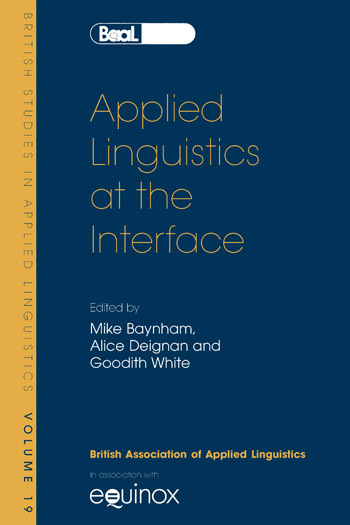 This chapter describes an investigation into agonism in applied linguistics using a corpus of four sets of three articles, where the sets are made up of an original article, a response and a reply to that response by the author or authors of the original article. The chapter presents some evidence for saying that extended arguments lead to a focus on boundaries between disciplines and sub-disciplines and also that the arguments become more personal as they go on. Professor Alessandro Benati is Professor of Second Language Acquisition and Head of School of Languages and Area Studies at the University of Portsmouth. He is internationally known for his research in second language learning and teaching, with special emphases on processing instruction. He is a pioneering researcher in the area of second language acquisition (SLA) and has built a reputation on two fronts. On one front, he is a premier Italian language scholar producing the most empirical work on the teaching and acquisition of Italian in the world. On the other front, he is a scholar in the more general field of instructed SLA, with an emphasis on the effects of formal instruction on the acquisition of grammatical properties by second language learners. He has a strong publications record with 12 established monographs, chapters and articles in international journals (Language Awareness, IRAL, and Language Teaching Research). This chapter examines the results obtained in a parallel study conducted by two researchers investigating the processing of input in Italian and Spanish. Both investigations seek to tease apart the components of the processing instruction approach and determine which one is the causative factor in learners’ changing performance. This chapter discusses Taiwanese children’s awareness of English phonological units. Notions from the Developmental Hierarchy Hypothesis are adopted as the theoretical framework. The subjects are 186 fifth graders from a Taiwanese elementary school, who took three tests which evaluated their phonemic awareness at the phonemic, intrasyllabic, and syllabic levels respectively. This chapter explores the use of repair-like structures in one hostile incident from a small corpus of naturally occurring email discussion data. Investigation of repair in non-hostile email discussion data revealed that a variety of patterns of repair familiar from spoken conversation were being used successfully, serving a range of purposes such as clarification of meaning, correction of factually incorrect statements, and repairs of technology-related turn-taking problems. This chapter focuses on the Information Science and Sociology of Science literature, in order to show how citation can be viewed from either a normative or social constructionist perspective. This chapter examines what use might realistically be made of a learner corpus in early L2 learning. It reports initial work with a corpus produced by multinational learners of Spanish as L2, taught in the same environment by the same teaching team. It examines the early acquisition of some core lexical items and provides indications from the corpus for the impact on acquisition of variables such as course materials and L1. This chapter examines possible interaction between L1 (Japanese) and L2 (English) writing experience, particularly special preparatory high school training in writing short essays for university entrance exams. This chapter explores frame shifts from instructional frames (e.g. lesson frames, class management frames) to play frames. The data consist of instructional interactions between a group of Greek-speaking monolingual and Greek-Turkish bilingual fourth graders and their teachers that took place in a mainstream primary school in Athens, Greece. Drawing on insights from interactional sociolinguistics and conversation analysis complemented by ethnographic data on classroom practices, the chapter explores teacher-led shifts to play frames (e.g. teasing, joking) and the pupil uptakes they elicit as well as teacher responses to pupil-initiated play frames. This chapter explores the role of English and ‘Afro-Saxons’ in Africa today in the process of globalization. The chapter focuses on Tanzania in trying to understand this complex issue, although some examples are drawn from other African countries as well. Joan Turner supervises research students in applied linguistics and education and works on PhD writing with doctoral students across the university, who are in the final stages of their PhD. Her research interests relate to language and culture in higher education, and include the theoretical perspective of academic literacies, English for Academic Purposes, writing research, issues of intercultural communication and English as an international language. This chapter develops a perspective which lies at the interface between applied linguistic research on academic writing and the various theoretical discourses that feed into academic literacy or academic literacies. It looks at excerpts from student texts and how they enact heteroglossia, by negotiating contemporary disciplinary discourses which the students are working on, inter-relating academic conventions such as citation with previous educational values, and developing an argument. Representing English names in oral and written Chinese is considered a challenge because of significant differences between the phonologies of the two languages. This is exemplified by problems faced by commentators in Hong Kong who need to find suitable names for teams and players in reporting the highly popular English Premier League soccer matches. Inspection of the names used shows that most are phonetic equivalents, although in a number of cases, translation of semantic elements is attempted. This chapter presents the case for a multifaceted approach to motivation. It presents a model where internal learner factors and external factors influencing a learner’s motivation are identified. This led to the construction of the Language Learning Motivation Questionnaire, which can be used with individuals or groups as a diagnostic tool, or as a research instrument to investigate motivation on a larger scale. Volume 19 The theme of this volume, a selection of papers from the 2003 conference of the British Association of Applied Linguistics, celebrates the productive interface between Applied Linguistics research and other disciplinary ways of knowing, forms of professional practice and issues of public concern. 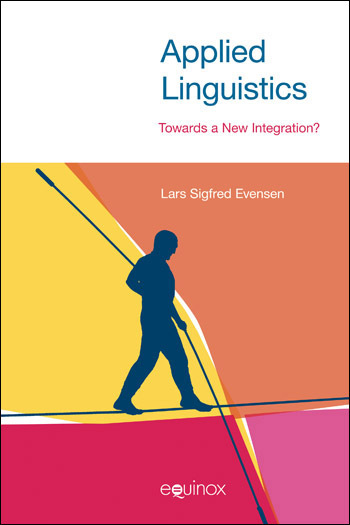 In the last two decades, the scope of applied linguistic research has broadened considerably to encompass a wider range of topics, issues and settings, drawing on rich and diverse methodologies. Topics covered in this collection illustrate this diversity, including conversational analytic perspectives on computer mediated communication, academic literacies, the sociolinguistics of English in Africa, L1/L2 writing, classroom discourse analysis, the psycholinguistics of second and foreign language acquisition, phonological awareness in second language learning. The contributions, all based on empirical research, address issues of language learning and use in a range of languages: Chinese, English, Italian, German, Greek, Japanese, Spanish.